Be a lady and smile for the camera . . .
Eleven long months of waiting and we have our foal! She is less than 36-hours old in this photo, and ready to embrace the world. We named her Tahlequah and have nick-named her “Tilly” for short, although she will have more names when she is registered with the American Paint Horse Association. 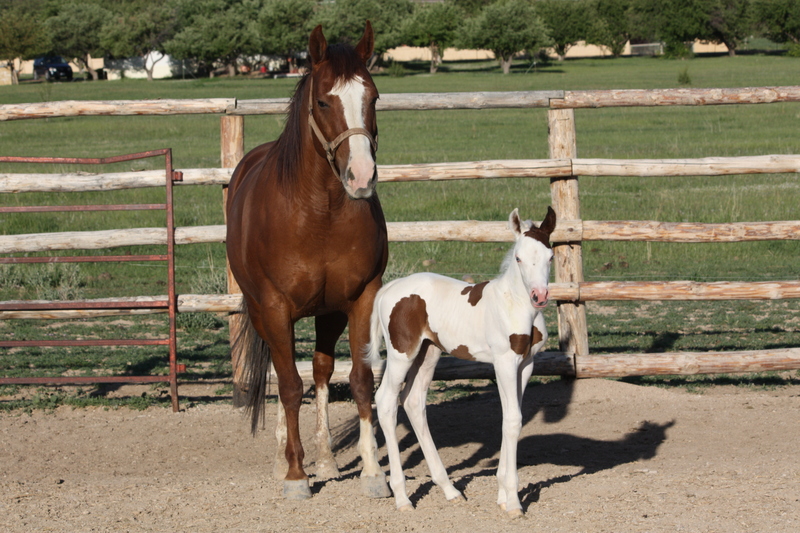 Her sire is a beautiful black and white Tobiano paint, and mom Tia, although a solid color, was sired by a great sorrel Overo paint. The joy and excitement of breeding a paint is the surprise package of color and variation! These legs are made for running . . . .
“Tilly” is quick and nimble and is going to be a very active foal. 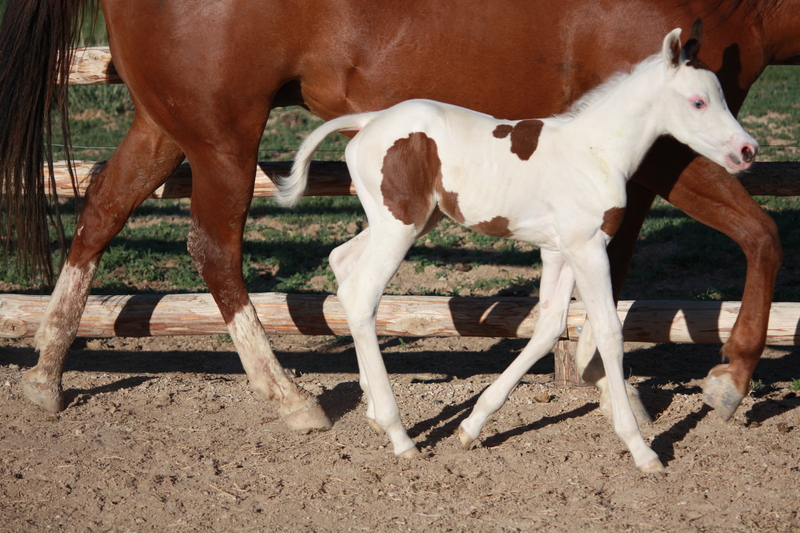 She was only hours old and trotting around the pasture. Ah, lunch time. Mother’s milk is the sweetest, most nutritious nectar of life. How’s that barn coming along, George?